The Book Doctors: Please describe your documentary project, and tell us what inspired it. Jackson Michael: We Were the Oilers: The Luv Ya Blue Era reunites and celebrates the Houston Oilers of the late 1970s. The team came within one game of the Super Bowl two years in a row. Player interviews anchor the show, and viewers hear intimate stories of thrills and sorrow from people like Dan Pastorini, Hall of Famer Elvin Bethea, and Billy “White Shoes” Johnson. Earl Campbell tells a great story about Bum Phillips calling him before the NFL Draft. Ultimately, I wanted to trace the dreams of these once young men and follow their stories through present day. What’s it like to come that close to your life’s dream, knowing you’ll never get another chance later in life? They say, “Art imitates life,” but sports do likewise. Few teams capture the hope and heartbreak of life like the Luv Ya Blue era Houston Oilers. TBD: Tell us how you got this monumental project off the ground. JM: We ended up doing the documentary in four months, which was truly miraculous. My wife, Lisa/11 Productions, needed a video crew for a different project. She found Jeff Power TV Productions, and while Jeff wasn’t right for Lisa’s other project, he was a perfect fit for We Were the Oilers. Things moved quickly and the timing couldn’t have been better. Jeff reached out to Dan Pastorini, who coincidentally was about to have an event for the Dan Pastorini Charity and Bum Phillips Charities. So, many of the Oilers were going to be in one place at the same time. Our hope was to produce and secure distribution in time for the Super Bowl and the excitement surrounding Houston. We got a ton of support from Dan, and Debbie Phillips. The Oiler players really liked the idea, and ROOT SPORTS Southwest committed to airing it around the Super Bowl. All of a sudden, we had interviews scheduled and a hard deadline. One of those cases when if something’s meant to happen, it’s meant to happen. We just added our faith, perseverance, and hard work. TBD: People are so emotional and invested in their teams. Is Houston still with the Oilers? JM: The relationship between the Oilers and their fans was truly incredible. Fifty thousand fans flooded the Astrodome to greet the team after they lost at Pittsburgh. That’s a special bond between team and city, one that touches the players’ hearts to this day. In one week our Facebook post generated over 1,000 shares alone. The comments from the fans confirmed that deep bond. Nowadays, there’s an interesting dynamic. Houston has a new team, the Texans, but a substantial number of fans stuck with the Oilers after they moved to Tennessee. You’re almost as likely to see a Titans pennant in your neighbor’s garage as you are to see a J.J. Watt poster. This is especially true in places outside of Houston. Some fans even cheer for both teams. TBD: We’re curious about your trajectory from being someone who didn’t really know anyone in the professional sports industry to now having a book, radio show, and a documentary about your passion. JM: People always say, “Follow your passion,” but there isn’t really a roadmap for following it. I met Robert Hurst, the Texas Sports Hall of Fame artist, at a backyard party. Everything started from there, as he introduced me to a few players for The Game Before the Money. You could say I followed my passion, but really I followed any chance that presented itself. Once the University of Nebraska Press published the book, the radio people looked at me and said, “Hey, this guy wrote a book!” Then, when pitching the documentary, people said, “Hey, this guy wrote a book and hosts a radio show!” Without those foundations, I’m just another guy who rambles about sports history beyond what’s socially acceptable. In a nutshell, take what you’ve done and parlay that into another project. TBD: Those Oiler teams were so fun. What do you think made them such crowd pleasers, and why did people fall in love with that team? JM: A lot of things aligned. The Oilers found success right around the time the “Urban Cowboy” trend gained popularity – and there was Bum Phillips, taking time away from his ranch, standing on the sideline with a cowboy hat and boots. They had Earl Campbell, one of the league’s most exciting rushers since Jim Brown. Dan Pastorini raced cars and briefly dated Farah Fawcett. Billy “White Shoes” Johnson created the NFL’s first touchdown dance, and every kid who scored a schoolyard touchdown imitated it. The Oilers had the type of characters that drove 1970s football. TBD: What’s it like to interview guys who you grew up watching, in some cases maybe even idolizing? JM: I always say it’s like having your childhood football cards come to life. And it never gets old. Each and every interview is as special as the first one. It’s an honor and a privilege to do this work. TBD: How do you think the NFL has changed since those halcyon days? JM: Well, money is the obvious answer. Free agency increased salaries exponentially. The NFL’s fan base grew enormously since the AFL/NFL merger, and revenues are galaxies beyond what Bud Adams imagined when he founded the Oilers. Back in the 1970s, even star players lived in middle-class neighborhoods. Almost every player had an off-season job. A friend of mine remembers Oiler Ken Burrough loading furniture into his family’s vehicle. Imagine being an 8-year old kid watching the AFC’s leading receiver loading Dad’s new recliner! All that aside, football is still football. The game’s cemented into our culture. Although even mediocre players can make millions and franchises are worth over a billion, at the end of the day, we who love football forget that for 3 hours and enjoy the type of drama and excitement that only pro football provides. TBD: Where is the show going to broadcast, and how can we watch it? JM: Right now the show is airing on ROOT SPORTS Southwest, and they’ll air it right through Super Bowl 51. It’s great because anybody who’s in Houston for the Super Bowl can likely watch it at the hotel. We’re looking at working with other networks, online streaming, and currently taking pre-orders for the DVDs on The Game Before the Money website. TBD: How different was it to write a documentary versus writing a book? JM: Writing a book is a very solitary experience. I worked on the book for a couple of years before a copy editor jumped in. You have to work with a team in film. That took a little getting used to, because it’s not easy to let go and let somebody else take over creative aspects of your idea. Since we did this on a tight budget, we were resourceful. My background is in music and audio engineering, so I wrote and recorded all the music. That saved us a lot of money right there. We’ve done all of our own promotion and marketing as well. We all wore multiple hats. TBD: We hate to ask, but what advice do you have for people looking to put together a project like this? JM: Two things: one that I knew beforehand, and one that I learned through the process. The key to doing any sort of work involving interviews is listening. Allow people to tell you the story. Do your research and have an idea of what the story might be, but also be ready to adjust should you find your storyline was wrong. Your job is to get it right. Be prepared to rewrite your entire script based on what people tell you during interviews, rather than fishing for answers that fit your preconceived notions. We were pleasantly surprised at how well received our requests turned out to be. The Titans allowed use of the Oiler logo, and Topps allowed classic football cards to be onscreen. It was a bit intimating making those phone calls as a small-budget production, and we didn’t know if anyone would call us back. People did call back, though, and everyone was friendly and helpful. We made sure that we were “buttoned-up” from a copyright perspective and now we’re on everyone’s radar in a good way. A true sports geek, Jackson Michael possesses a near encyclopedic knowledge of sports history. 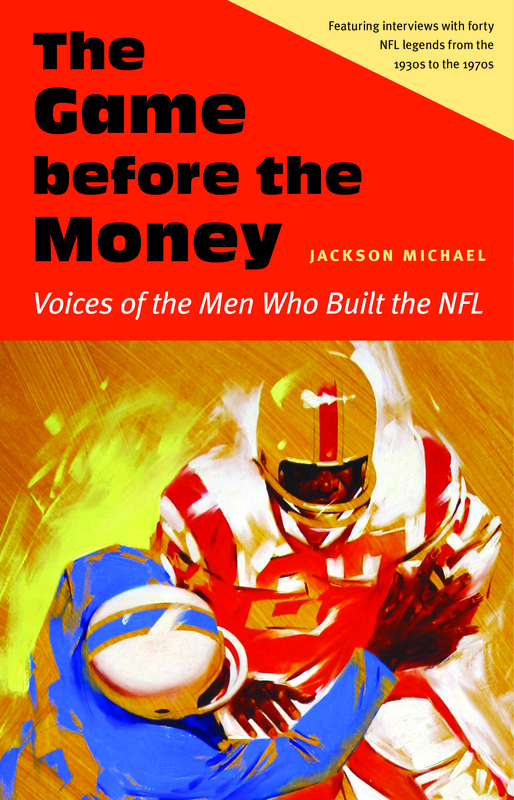 The Game Before the Money: Voices of the Men Who Built the NFL is his first book. Michael is the writer/director and music composer for the documentary We Were the Oilers: The Luv Ya Blue! Era, featuring his original song, “Sometimes a Dream (Only Comes True in Your Heart)”. 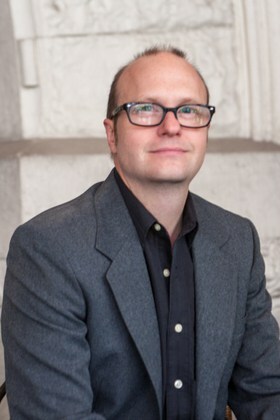 Michael worked for several years with the Austin Daze, as the alternative newspaper’s entertainment writer and music critic. He conducted interviews for Tape Op magazine, the most widely distributed periodical in the field of audio engineering. His music career includes five solo five albums, and he has recorded with Barbara K (Timbuk 3), Kim Deschamps (Cowboy Junkies) and Gregg Rolie (Santana, Journey). A skilled audio engineer, Michael has recorded albums for a number of Texas music acts. He is a member of the Football Writers Association of America, and the Maxwell Football Club. Michael lives in New Braunfels, Texas with his wife Lisa and their awesome dog, Indy. 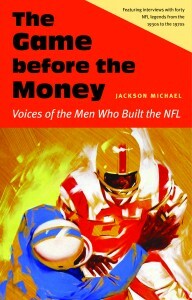 Learn more at TheGameBeforeTheMoney.com and JacksonRocks.com.